Why buy an expensive pet when you can adopt? Street Tails Animal Rescue is located in Northern Liberties. Street Tails Animal Rescue is not your average rescue facility. 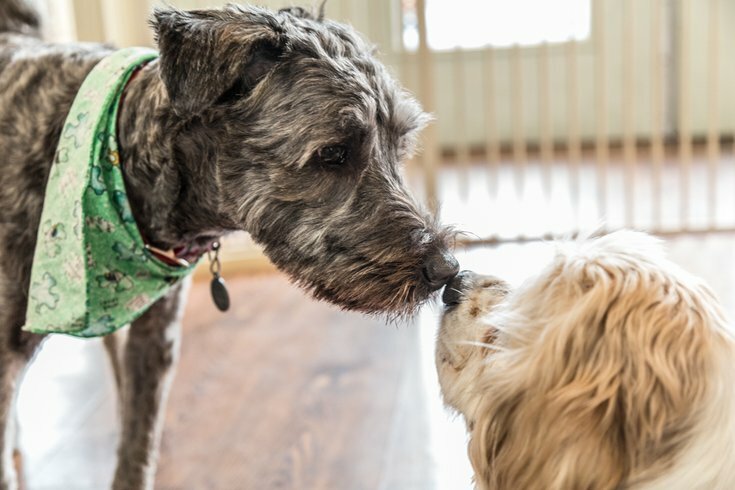 With a brick and mortar location in Northern Liberties, this rescue is giving Philadelphians a different way to meet and engage with the animals before adopting. Lindsay Condefer founded the rescue, also known as STAR, in 2001. She began rescuing one dog at a time through her pet boutique, Chic Petique. In 2011 the rescue expanded into its own space, giving the nonprofit the ability to rescue more animals. The boutique’s appeal is what they do different from other rescues. “The fact that we have an actual physical location, it really is the difference between us and a lot of other rescues. Most other rescues are foster based," said Allison Lewis, a full-time employee at Street Tails, which doesn't have titles for its employees. But their specialty isn’t just your average dog. Lewis notes that team members or volunteers go to different shelters to "assess the animals" and look more particularly for medical cases. “Our mission is to save the homeless Philadelphia-area dogs and cats, and focusing with those with special needs, special medical needs." Every week the rescue highlights a dog of the week. She notes that small dogs tend to get adopted more quickly while older dogs and bigger dogs don't get adopted as quickly. If you’d like to donate to the rescue facility, Lewis says they always need used washed bedding, pumpkin, wet or dry dog food, paper towels, dog toys, treats - and, really, anything dog or cat related. Street Tails Animal Rescue is located in Northern Liberties at 1030 N. 2nd St, Suite. 401. Editor's Note: In an effort to do our part in helping homeless dogs and cats find their forever home, PhillyVoice is excited to announce the start of a Pet of the Week special feature, where we will focus on a rescue pet from Street Tails each week. Check back for the feature on our homepage and social media soon.